Ami Strahan's husband, Scott, carved the family's names into the underside of a swing in their yard. Sometimes people will ask Ami Strahan how many kids she has, but she struggles to answer. Well, she had two kids. She gave birth to two kids. But now she only has one. "So do I say I have one? Or do I say I had two," she says to a room of about 120 people gathered April 19 at the McGinnity Room downtown. "If I say I had two, how do I explain how I only have one? It's weird, and it's heartbreaking, but it's real." Strahan's 15-year-old son, Sam, was shot and killed by another student in the halls of Freeman High School last September. Just three months before, her husband died after an accident in their driveway. She was asked to share her story with those gathered at the inaugural event for a new local nonprofit, Art 4 Reform. The organization was started by two mothers driven to take action after a shooting at a Parkland, Florida, high school. In February, a 19-year-old shot and killed 17 students and staff and injured several more inside Marjory Stoneman Douglas High School. Within about 30 days, Carolina Johnson and Janelle Carney established the nonprofit and scheduled an event to raise money to support gun safety. Proceeds from yesterday evening are going toward Everytown for Gun Safety and Moms Demand Action for Gun Sense in America, Carney says. 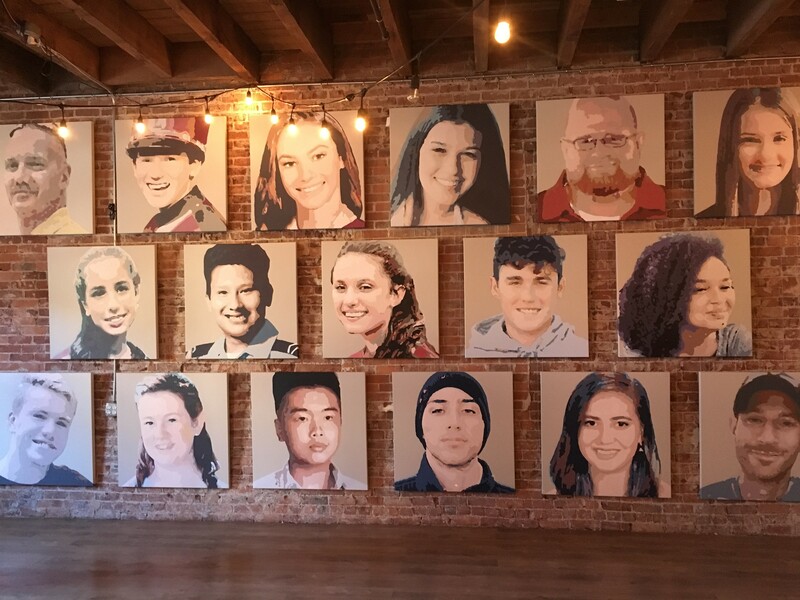 Portraits of the 17 students and staff members who were shot and killed in a Parkland, Florida, high school. 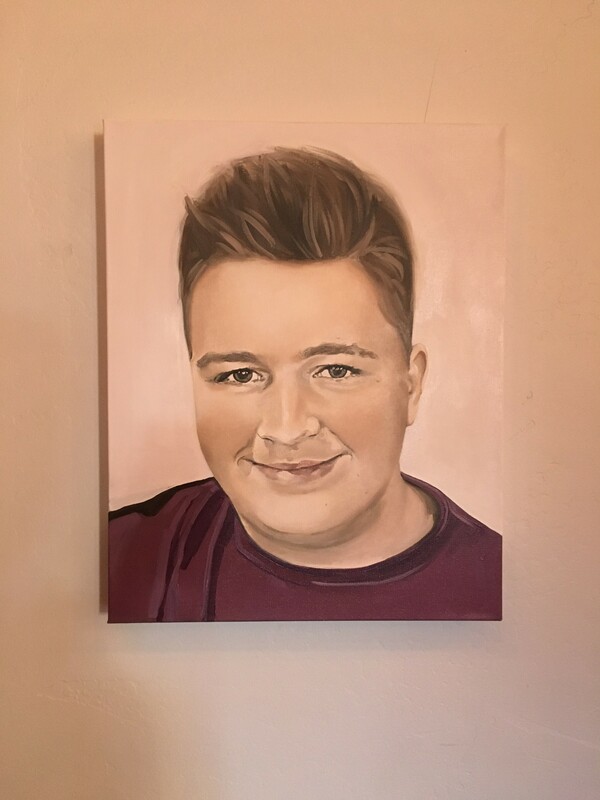 Before yesterday's event, Johnson painted a portrait of Sam, as well as portraits of each of the 17 victims in Parkland, which were on display. The day before students across the country prepare to walk out of school to support gun reform and remember shooting victims, Strahan tells the crowd that years ago on her wedding anniversary (which is today), "two boys walked into their high school, and they started killing people. That was Columbine." She describes the void left by her son and husband, Scott Strahan. She lists the milestones that Sam will miss: homecoming, driver's ed, graduation. "He never got his braces off," she says. "Which may seen silly, but I never got to see that smile without braces." Then, motioning to the wall of portraits behind her, she says she's not unique. 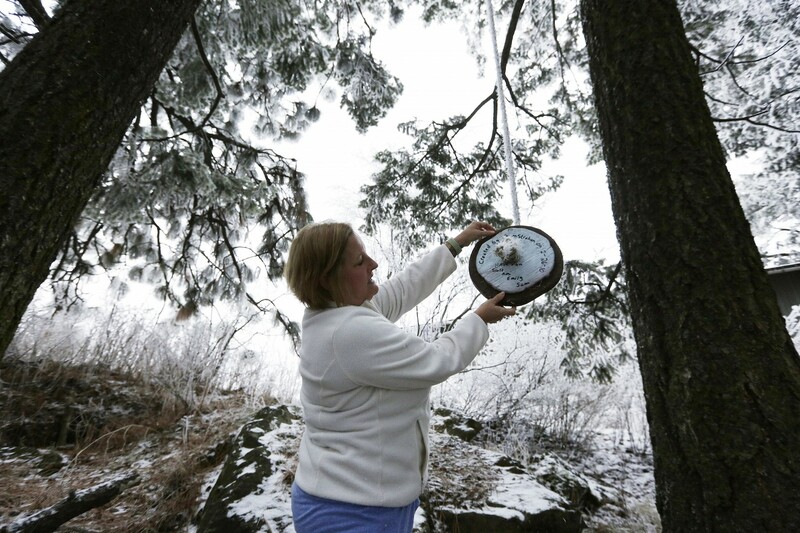 "Since that day, so many more students have died while they were at school," she says. "Writing this sounds just absurd to think that kids die going to school." At the same time, she knows that gun law reform is polarizing, and in particular around assault-style rifles. The boy who shot and killed Sam brought an AR-15 and several magazines of ammo into Freeman High School in September 2017. The rifle jammed, and the 15-year-old boy shot Sam and three other students with a pistol. The three other students survived. "I can't be sold on the issue that all of this is related to mental health," she says. "Not every mentally ill person shoots and kills people. So I don't want to categorize mentally ill people that way. And not all people who own guns kill people, right? I think both of those are true, but the common denominator is the gun itself." She goes on to say that gun owners have a huge responsibility to keep firearms out of the hands of children and those who can't appreciate their potential. Finally, Strahan addressed the children in the room: "I just want to tell you that you make me really proud, and I'm so relieved that you're paying attention," she says. "Thank you for insisting on what should be the right of every student and becoming socially active in your fight for it. "You have the right to go to school, have a blast, learn something and be better for it. But I also want to remind you that the great majority of your parents are doing the very best they can. They try really hard, and they're human. We're all human. We make mistakes, we have good days, we have bad days. But at the end of the day, we love our children and you never know when you will get the chance to talk to your parents again. So talk to 'em."